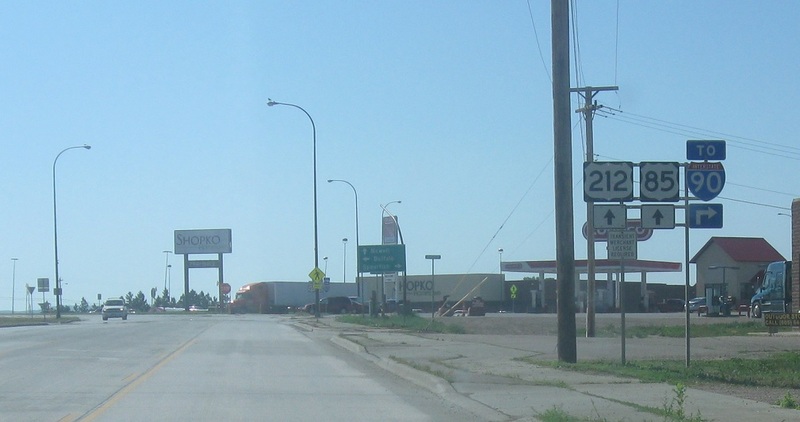 Reassurance shield as 212 enters South Dakota. 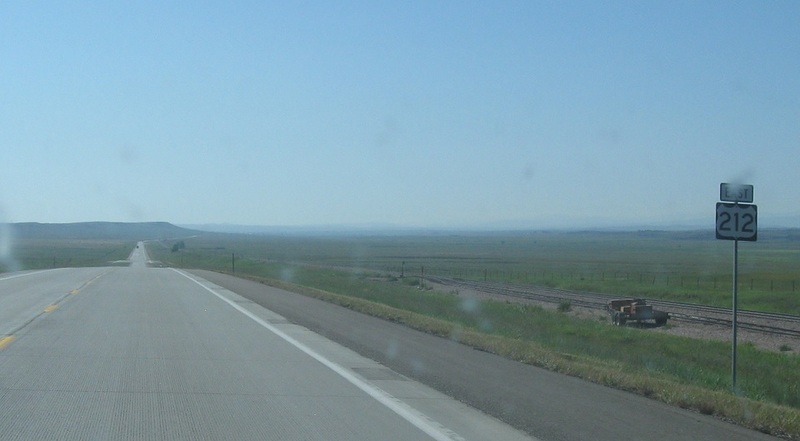 212 spends more time in SD than Wyoming, as it heads across the state to Minnesota. 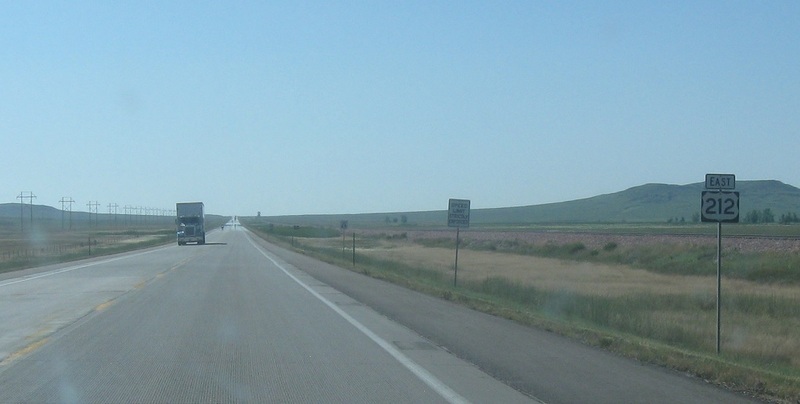 Reassurance shield about three miles into the state. 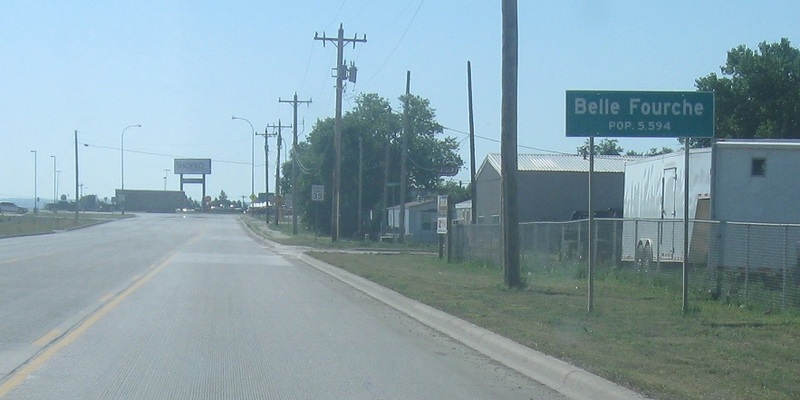 About 15 miles into the state, we’ll enter Belle Fourche SD, the first town since Broadus MT. At the stop sign, we’ll approach US-85. This is a bad sign. Stay straight for US-212. Stay straight until the stop sign for US-85, and then turn. 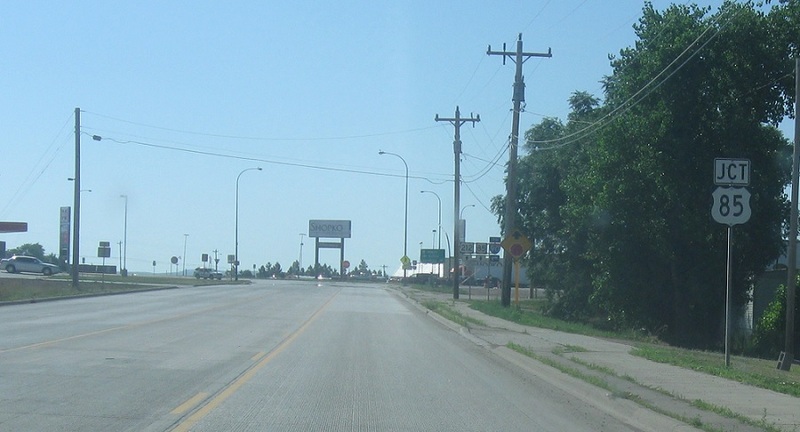 At the stop sign, turn right for 85 south to I-90. 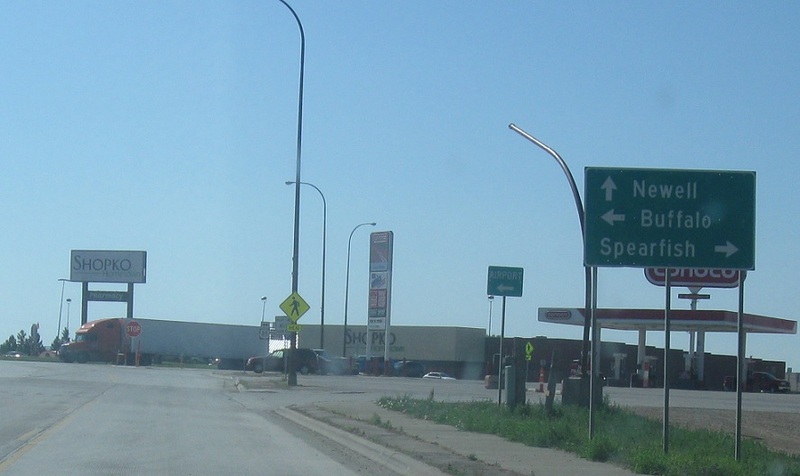 Follow 85 south to Spearfish, 85 north to Buffalo, and 212 east to Newell. Ew. 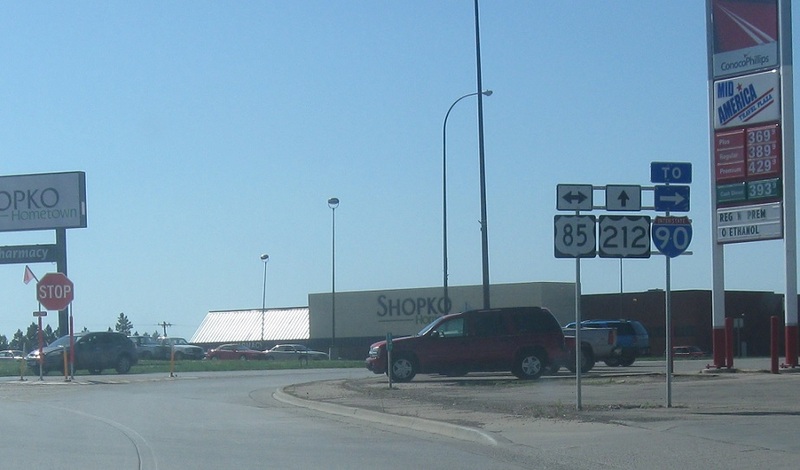 Turn right for 85 south to I-90, left for 85 north, and stay straight for 212 east.